Golmaal Again VS Secret Superstar: Who Will Win In The Long Race? 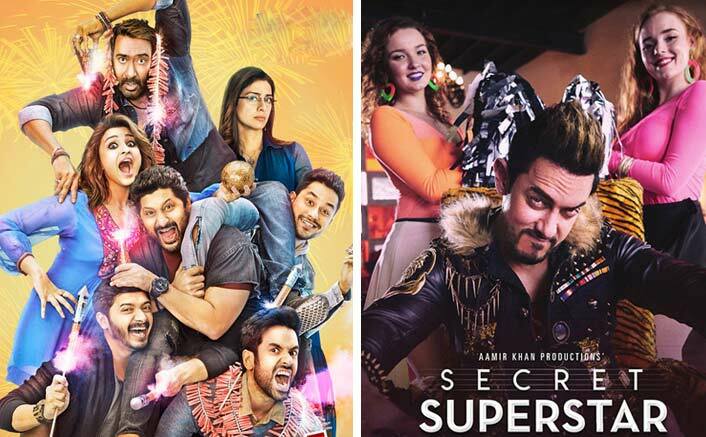 Home » Box Office » Golmaal Again VS Secret Superstar: Who Will Win In The Long Race? 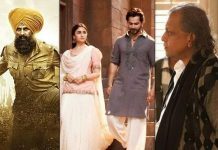 Both the films have a great possibility to be declared hit at the box office. Aamir Khan is leaving no stone unturned to create the necessary buzz for the film. Finally, the bumper time of Bollywood is here – Diwali. Aamir Khan’s Secret Superstar & Ajay Devgn’s Golmaal Again is all set to lock their horns at the box office. Diwali has lost its charm since years as we haven’t seen a huge expected hit. Krrish 3 was the last blockbuster we saw on Diwali. Happy New Year & Prem Ratan Dhan Payo did good business but that was just because of Diwali. They trended averagely at the box office. This Diwali we have two probable hits on the cards. Secret Superstar starring Zaira Wasim & Aamir Khan is based on the life of a teenage girl named Insia, played by Zaira Wasim, who sets out to follow her dream of being a singing superstar under the confinement of anonymity. Golmaal Again: The fourth instalment in the hit Golmaal franchise starring Ajay Devgn, Arshad Warsi, Tusshar Kapoor, Shreyas Talpade, Kunal Kemmu and Tabu. Both the films have a great possibility to be declared hit at the box office. Aamir Khan is leaving no stone unturned to create the necessary buzz for the film. According to our sources the makers have decided to do a press show for the film on Tuesday & paid previews from Wednesday evening. The movie will get a proper release from Thursday, 19th October. “I think a film should do well on satellite, on television, and once the audience appreciates the film after months of its release, then only you should make a sequel out of it, and that too if you’re getting the right story, not just to cash in on a title,” Rohit said in his statement. Who do you think will be a winner in the long race? Golmaal Again will surely have a stupendous opening but if Secret Superstar clicks it can outshine Golmaal Again. Do let us know your thoughts in the comments section below. Golmaal is good but I think Secret superstar will earn 400 crore atleast. I think secret superstar will get near by 60 – 80 crore net box office in india on other hand golmal again can be near by 130 -160 net in indian box office. But both movie is different aamir khan’s secret superstar is emotionally strong and meaningful film for families and golmal again is entertaining movie & horror comedy which we last scene in bhool bhulaya by akhshy kumar. Secret superstar is very low budget movie and golmal again higher so there is no competition both have there different space.